We use laboratory-quality urine pregnancy tests near Long Valley & Lebanon Township NJ that offer 99.9% accuracy. 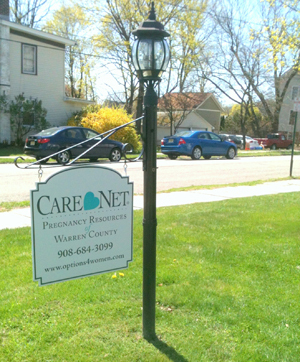 Your pregnancy testing will be private, free of charge, and you will receive your test results during your appointment. If your test is positive, we can discuss the next steps with you about having a free ultrasound exam. Our nurse can provide information for early pregnancy and any precautions you should take. You will also have the opportunity to ask questions and discuss specifics about your pregnancy.